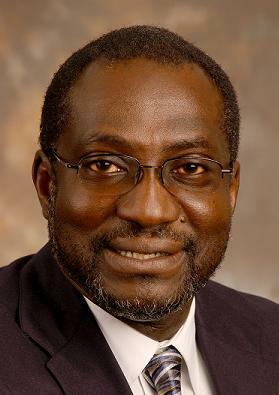 Emmanuel Y. Lartey is professor of pastoral theology, care, and counseling at Emory University's Candler School of Theology. He also teaches in Emory's Graduate Division of Religion in the Person, Community, and Religious Life Program. Lartey earned his PhD from the University of Birmingham in England and his BA with honors from the University of Ghana, Legon. His scholarly interests center on spiritual care, counseling, and theology in different cultural contexts, with particular reference to Africa, Britain, and the Americas. Recent publications include "Pastoral Counselling in Multicultural Contexts" in Clinical Counselling in Pastoral Settings (Taylor and Francis, 1999); "Black Memory: Commemorating the Sacred and the Traumatic in the African Diaspora" in Suffer the Little Children: Urban Violence and Sacred Space (University of Birmingham Press, 2001); In Living Color: An Intercultural Approach to Pastoral Care and Counseling (Jessica Kingsley Publishers, 2003); "Globalization, Internationalization, and Indigenization of Pastoral Care and Counseling" in Pastoral Care and Counseling, Redefining the Paradigms (Abingdon Press, 2004); and Pastoral Theology in an Intercultural World (Pilgrim Press, 2006). I have made transitions between graduate school and seminary three times in the past twenty-six years. But in my case not only have the moves entailed navigating the varying philosophies and goals of differing educational enterprises, they have also involved transitioning between very different social, cultural, and religious environs. I studied for my PhD at the secular British public ("red brick") University of Birmingham, in a department of theology that was part of a faculty of arts and humanities in close connection with the departments of philosophy and history. Only a minority of students in this department had ministerial or churchly vocations in mind. The wider religiocultural context was Western European, in which church membership was and continues to be in sharp decline. Two months after completing the doctorate I was settling into a home on the campus of Trinity Theological Seminary in Legon, Ghana, within a West African cultural context in which religious practice is pervasive and where churches were enjoying and continue to experience phenomenal growth in membership. Making the transition from graduate school in Britain to theological seminary teaching in Ghana was challenging to me pedagogically in terms of both style and content of teaching; culturally in terms of differing understandings of faith and practice; and personally in terms of belief and social engagement. After five years of African seminary teaching I headed back to the United Kingdom to teach "pastoral studies" — what in the United States context we might prefer to describe as "practical theology" — to international groups of graduate students whose goals included chaplaincy, teaching, social work, community work, counseling, psychotherapy, and various forms of ministry within church congregations and communities worldwide. Several of my masters' and graduate diploma students were in the process of conceptualizing, formulating, and strategizing their future forms of contextual pastoral ministry as the courses I taught proceeded. They had enrolled, or had been sent by their church communities to the program, for precisely that reason. Then, after twelve years in this British and global context — in the fateful month of September 2001 — I was on my way to Columbia Theological Seminary in Decatur, Georgia, to assist in the task of training pastors for Presbyterian (mainly) and other churches in the American South. Three years later I moved yet again to where I am now teaching, at both a graduate school of religion and a theological seminary of the United Methodist Church. Quadrophrenia, rather than schizophrenia, is perhaps a more appropriate diagnosis for my condition. As I reflect over these transitions in location and pedagogy the question I seek to address is: What are some of the principal lessons I have learned? Integrity is crucial to sanity. You cannot be a different person in every one of the contexts you inhabit. In order to teach and encourage students to learn in the very different contexts in which I have worked I have had to find a place of inner security, integrity, and authenticity that in a sense transcends the immediate context whilst clearly engaging it as fully as I am able. Finding a place of strength within has been important in order to engage each context deeply. Sound critical scholarship is necessary in the formation of ministers for the twenty-first century church worldwide. Theological education — in all contexts — is served best by raising and not evading hard questions. In this regard I have found that the raising and facing of difficult questions, which is the stuff of research and graduate school inquiry, prepared me for engaging seminary students bright with the glow of vibrant unexamined faith. Seminary education that equips pastors-in-training to engage the issues that persons face "in their life situations" has to raise the difficult questions of text, faith, and practice. Critical scholarship that interrogates the texts, the teachings, and the practices of faith communities in their contexts thus ultimately serves the church. It is the art of recognizing and formulating significant questions for the texts, teachings, and practices that form communities that I have come to believe is crucial for theological educators to pass on. This is an art that can and needs to be nurtured in theological education. Questions raised in one context may help to raise awareness in another setting. Questions asked in graduate school may help raise awareness in seminary. Issues confronted in South Africa may help raise awareness in Atlanta, Georgia. A practical theological orientation and interest can serve to ground, problematize, and add complexity to academic scholarship. Returning to graduate school teaching following a stint of seminary teaching and being immersed in issues faced within communities of faith meant that I brought burning issues within the life experience of communities to the halls of the academy. This encounter mirrored my earlier experience of attending seminary following work as an intern in a psychiatric hospital. I attended classes in theological anthropology (the "doctrine of man," as it was then) with my experiences of nursing patients in locked wards always before me. It was impossible to formulate notions of imago dei that did not take into account psychiatric patients. Academic scholarship needs the input of life experience. Issues, problems, and experiences of human life can challenge easy binary oppositional or else rarified aesthetically pleasing philosophies, thus pointing out the need for more complex and nuanced thinking about life. Clarity does not have to mean "watering down." If you really understand your subject you can teach it to a child. It has been very important in each context to press for clarity in thought and expression. This is crucial for communication and understanding. In intercultural communication where concepts and experiences within one context are being conveyed to another, clarity becomes even more significant. The test that was given me by one of my academic advisors was one of comprehensibility to an average (ordinary) child. I have tried to maintain and apply this test in different contexts. Would a reasonably thoughtful child be able to comprehend what I am trying to convey? This test has kept me working, often until late at night, to make what I have to teach understandable. Often it is to express the notion that things are more complex than is being expressed. I have found narrative to be a most valuable means of conveying complexity clearly. When characters in a story embody the enigmatic nature of all humans this becomes both intriguing and genuine. Moral complexity and divine mystery are both most clearly expressed through narrative. Appropriate contextual material and methods have to be found to communicate the complexity and mystery of life and the divine. The biggest challenge has always been that of securing an understanding of the culture of the people or institution within which one is located. This is what "acquiring the language" of an institution is about. The task then is to utilize concepts, materials, and methods from the culture to convey what one wishes to transmit. At this stage one now "speaks the language." I discovered that this task is what pedagogy is all about. The true teacher speaks the language and helps others learn the language. The pedagogical task is precisely that of uncovering the dynamics of a cultural institution and then employing those dynamics to transmit the messages that are desired to the learner. Facility with the language enables one to embark on critical engagement with those who participate in institutional life. In the case of theological education, as I have indicated, the message is basically about ways of thinking about and interrogating texts, teachings, and practices that have been formative in the life of communities of faith. I have found great excitement in deciphering the unconscious and often unarticulated codes of different institutions and then utilizing those to critically engage the community. For me transitioning from one setting to another has been the means by which I have learned to live and to embody the art and challenge of theological education. Preparing, journeying, sojourning, challenging, and engaging have been and continue to be watchwords on the pilgrimage.